The first Stationery Box for FEBRUARY 2019 is now for sale in our webshop ! keep an eye on our Instagram and here in our webshop. The Mini Covers are SOLD OUT sorry, but feel free to make your own, or even use another size! We are superproud of these pretty handmade products! The maker is ‘our’ Monica (IG @moon.4.life). She has been a Cafe member from the beginning and makes beautiful things. Like these perfect mini artworks! Here are this year’s prompts! Buy the notebooks in our shop! A few weeks ago I saw this video on Instagram by someone who uses a very handy knife to cut out a piece of washi tape. The Gyro Cut seems so handy and quick that I asked asked around of someone of my friends knew this knife. Before I knew 10 ladies where so enthusiastic and agreed to order together to save shipping costs! It was a bit of a wait until we would see each other again but last weekend I got my Gyro Cut. In short: The Gyro Cut is a precision cutter especially for thin materials like paper, washi tape, sticking vinyl, Solartex and tissue paper. With the 360 ​​degree rotating blade made of hardened steel, you cut as you draw. It costs €15.95 and you can buy it here, at Café Analog, where you can also order extra blades. During the Stationery Cafe where I was at that moment I tested it right away because the enthusiastic reactions of others I had become so curious. Enthusiastically I started to cut and the knife turned in all directions except the good one and I thought “this is such a fail!” As it turned out, I immediately started to cut washi tape while you should start with paper! Ofcourse you can’t expect to be able to cut well with the knife right away. You need some time and practice to figure out how fast the blade turns, how much (little!) pressure you have to put on and the best way to hold the Gyro Cut. That same evening I started practicing and now I will take you into that process, are you coming? 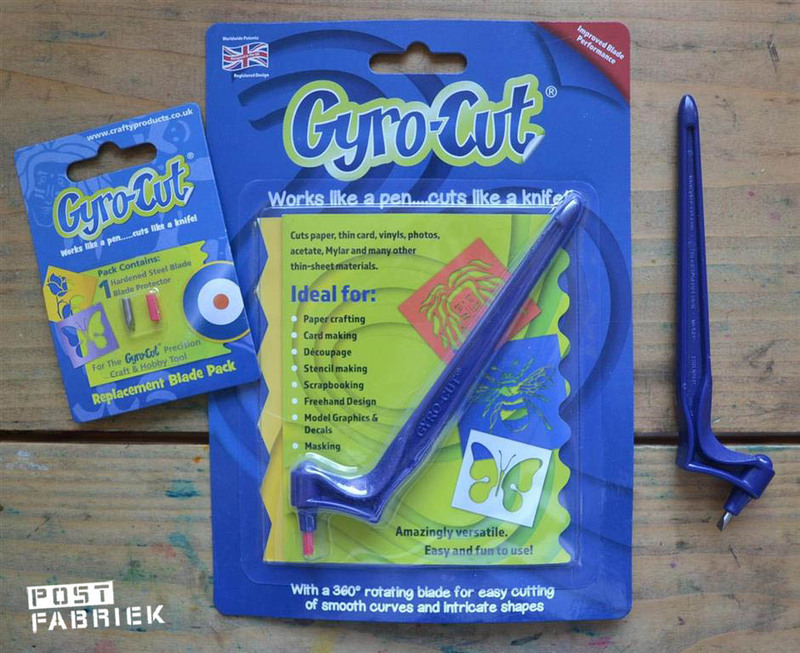 Category: blog, news | 1 Comment on Gyro Cut (rotating blade): Useful for cutting illustrations and washi tape! Category: blog, news | 3 Comments on HAPPY NEW YEAR! Last year we had a great time with our worldwide friends doing a December Daily , so we decided to do it again. Please feel free to join and share in the fun in YOUR way! What is December Daily? To keep it short: A creative Journal through December with some hints and prompts from us! And how does it work? Look at the prompt of that day and make a collage about it, or draw or write about it. We even made a very cute Stickerset for it! You can keep it simple and just answer the hint or prompt or question and that’s it. Or you can take a plunge in the deep and write your heart out! Just follow your mood and your heart! Even if you don’t do all days, just pick the prompts that spark something! Fifteen minutes a day are enough we think, maybe after diner when the kids are in bed? The weekend prompts are a bit more intensive – but only if YOU want them to be! Print out the list and put it before the first page! Or on the Cafe Analog Facebook pagina. 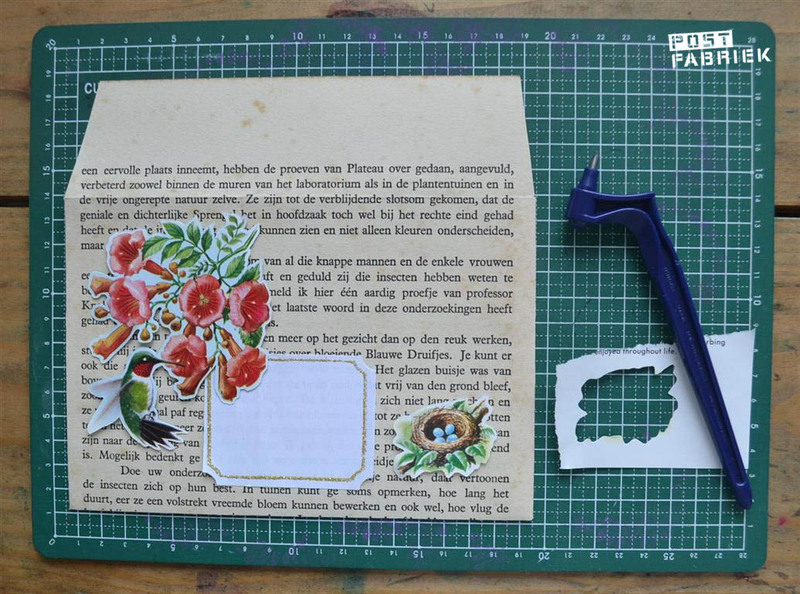 NEWSLETTER wk 39 / Rent a Stationery Box! This makes it easier to buy bigger things (like the Coffeemug, the Letterwriting sets, the white tin containers and the bigger mounted rubberstamps for example) that only fit in a box and allows you to add during 3 weeks, so you save big way on shipping! The first time you order a minimum of 3 products and pay for it with shipping of choice included. At checkout options write ‘RENTAL BOX’ and we will hold it for maximum 3 weeks from that moment on! In these 3 weeks you can add as many products as you want, by just buying them in the webshop at any given moment, and we will add them to your box. Choose standard shipping everytime. In the end, after 3 weeks, we weigh and calculate everything, plus the accurate shipping costs. We will then either send another invoice for the extra shipping, or we will reimburse the too much payed, if needed, right away. The box gets shipped after the 3 weeks are over. Earlier is a possibility too, just send us an email. to sell the worldfamous exclusive Baum-kuchen stickers! go get them while they last! ‘Everything happens for a reason‘ on it. This was in 2013 so its totally faded and worn. They have them in different colors now! WE HAVE A LOT OF NEWS TO SHARE! We are so happy and proud to tell you, that we have reached an agreement with BAUM-KUCHEN USA to import their stickers to Europe. We have been their fans since day 1 and we love their philosophies and creative ideas. We can’t wait to have them in our shop, so Europe has easy access to them too. Do you want to make sure you have a chair ? You can mail me desiree@cafe-analog.nl. Costs are 35,00 euro incl. lunch, workshops and a great goodiebag. Yes we also, last months were a happy rollercoaster and we are longing for Sun, Sand and Zen! ordering from the webshop is possible but we will not ship until july 3rd. Many of my foreign friends have asked me to translate the site and webshop in English too! Yes of course ! We are working on that! So please stay tuned and feel free to shop, comment and ask stuff !